It seems like we are on a snowman roll this holiday season here on the Smoothfoam blog! I am adding to the collection with my Snowman Door Hanger – a festive and cheery change of pace from a traditional wreath! 1. Overlap the half balls and draw a mark on the 8″ ball and trim away the piece with a hot knife cutting tool. 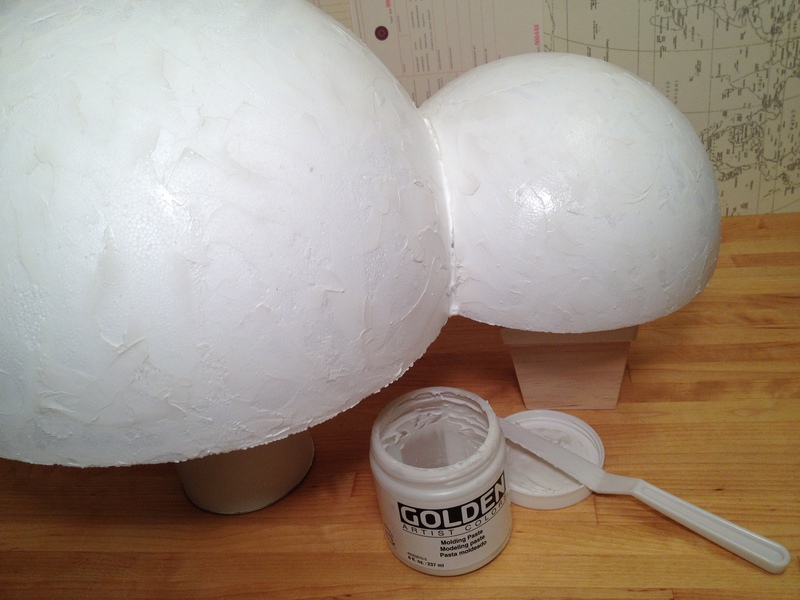 Glue the two half-balls together, holding until set. Let dry completely. 2. 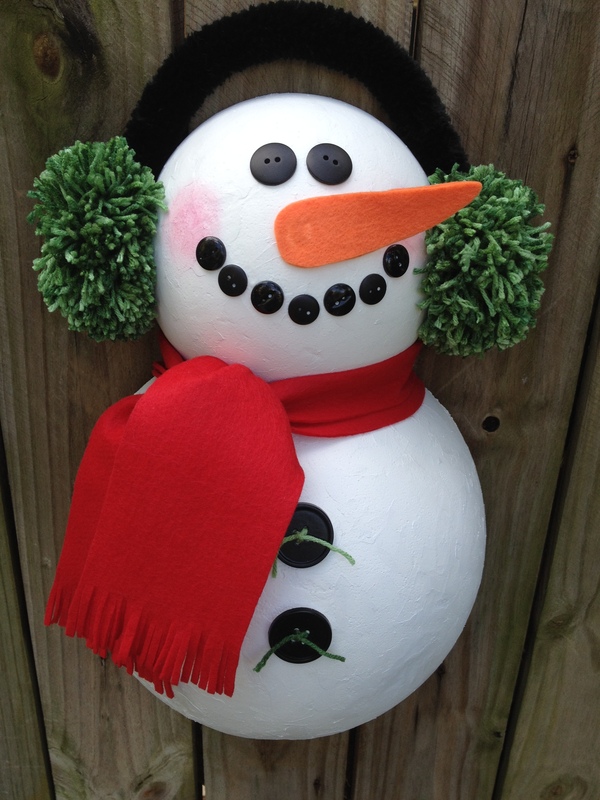 Cover the snowman with molding paste, using a palette knife to create texture and let dry. Spray paint him white and let dry. TIP: Design Master Colortool brand is safe for craft foam – some spray paints will melt it, so check the label. 3. Measure and cut a 4″ x 36″ piece of red felt. Tie it around the snowman’s neck, then fringe the ends with scissors. Create rosy cheeks with pink chalk and cotton swab. Thread green yarn through two jumbo buttons, tie in a knot and trim the ends. Glue the buttons, eyes and mouth to the snowman and let dry. Draw and cut two carrot noses from orange felt, glue together, then glue it to his face. 4. 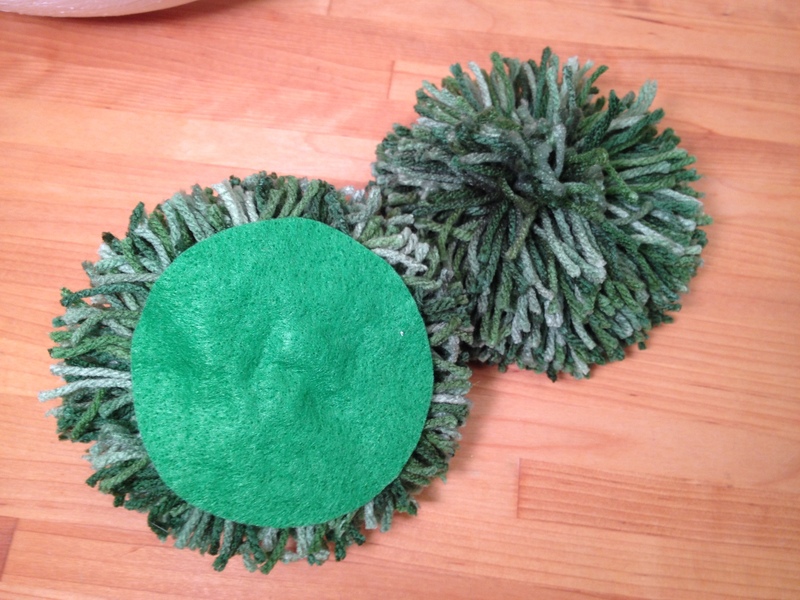 Make two 3″ pom-poms with the Pattiewacks tool and green yarn. Measure and cut two 3″ circles of kelly green felt and hot glue the pom-poms to the circles. Curve a black jumbo craft stem to fit on top of his head and glue the pom-poms to either side. This entry was posted in Holiday Crafts and tagged Ball, Christmas, Holiday Ball, Ornaments, Snowman, White by Beth Watson. Bookmark the permalink.